C&IT's sponsored Destination of the Week is Dubai, featuring the lowdown on the latest developments, including Dubai Parks and Resorts and Dubai Safari. 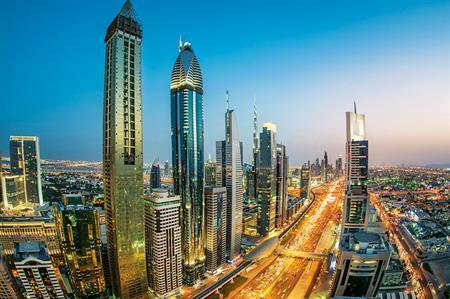 This year has seen an array of exciting attractions open across the city, all enhancing visitor experiences, and adding a new layer, and thrill, to the dynamic business events offering Dubai is known for. Unveiled in August, IMG Worlds of Adventure, the world’s largest indoor themed entertainment destination, is home to four adventure zones including MARVEL, Cartoon Network, Lost Valley and IMG Boulevard, promising fun for all ages throughout the year. In the same month, Dubai Opera welcomed its first guests, with a sold-out performance by Spanish tenor and opera icon Plácido Domingo. The dhow-shaped, glass-and-steel opera house, located in the innovative Dubai Opera District near the Burj Khalifa, has an exciting line-up over the coming months including more operas, ballets, concerts, musicals and a magic show. Most recently, Dubai Parks and Resorts opened two of three theme parks - Bollywood Parks Dubai and LEGOLAND Dubai. LEGLOLAND Dubai features over 40 interactive rides, shows and attractions and 15,000 LEGO model structures made from more than 60 million LEGO bricks. LEGOLAND Dubai will feature six themed lands each unique in their design, entertainment and playful learning experience. Bollywood Parks Dubai, the first Bollywood theme park in the world, is spread across five zones: Bollywood Boulevard, Mumbai Chowk, Rustic Ravine, Royal Plaza and Bollywood Film Studios. The park also features an 850-seat Rajmahal Theatre that will be home to Broadway-style, Bollywood -themed shows. Dubai Parks and Resorts will open its third theme park, Motiongate Dubai, in the coming months which will bring to life the biggest characters in Hollywood - rounding out the theme park offering in the city. In addition to recently opened attractions, Dubai has equally exciting entertainment openings on the horizon in 2017. La Perle by Dragone, a new show produced and created by world-famous artistic director Franco Dragone, will take up permanent residence in the new Al Habtoor City complex, promising to deliver a mesmerising performance suitable for all ages and backgrounds. Also slated to open next year is Dubai Safari, covering an area of 119 hectares and comprising eight distinct zones that together will be home to a total of 10,500 animals from across the world, including 350 rare and endangered species. All of the of new attractions further enhance Dubai’s proposition and reputation as a diverse destination appealing to business travellers, driving increasing numbers of visitors to the emirate and ultimately helping to realise Dubai’s Tourism Vision for 2020, which aims to welcome 20 million visitors per year by the start of the next decade.